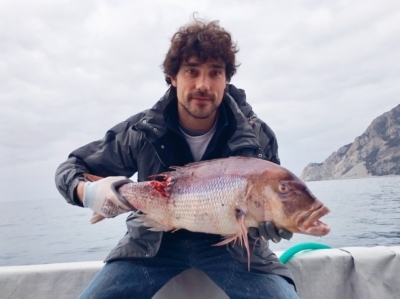 Franco D’Ambra, an experienced fisherman from Vernazza, decided to change his life when he realized that was possible to start a new and important project which allowed him to share his great passion for the fishing and the sea and telling the Cinque Terre history with people loving this place. He decided to realize his new project by founding the 5 Terre Soc. Coop. but he realizes soon that he needs some help in order to achieve his new challenge. 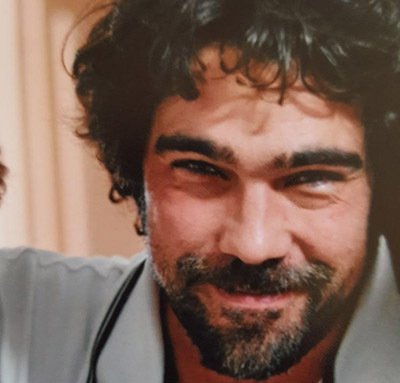 He get in touch with three young entrepreneurs in the tourism sector: Diego Beretta and the two bothers Daniele and Davide Betta, from Monterosso. Attracted by Franco’s idea, they did not miss the opportunity to become part of the project. 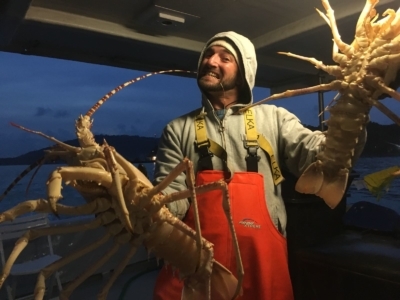 He is the skipper of Aquamarina as well as a really good cook. 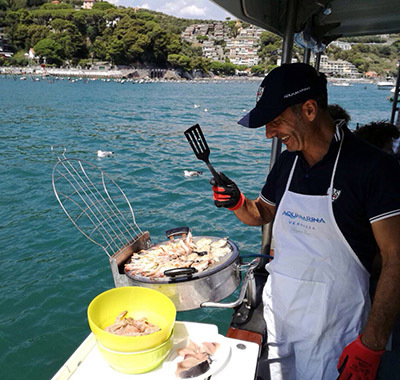 He will take you on the excursion to discover the spectacular beauty of Cinque Terre and he will prepare you a delicious meal with local products. The craft of being a sailor was handed down from his father and uncle when he was only a child. He attended the institute for technical marine in La Spezia. After gaining some experience by sailing on board the historic sailing ship called “Croce del Sud”, he became a skipper when he was only 22. 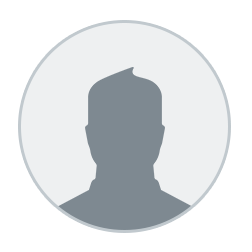 Daniele is the manager of the Cooperation. In 2012 he graduated as marine engineer and moved to The Netherlands to work at RINA company as ship inspector. Like his brother, the sea and this territory are his passion, therefore he decided to come back. He studied as lawyer but didn’t become one. He started to work in a beach resort of Golfo dei Poeti while he was a student. Later he moved to Monterosso to manage a beach resort by himself. 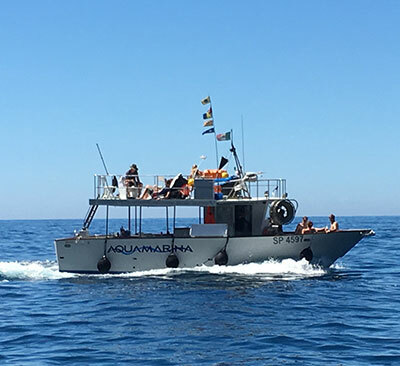 Here he explored his contact with the sea and started to work as skipper of his small boat by navigating through the Cinque Terre and Golfo dei Poeti coast. She speaks both English and French fluently thanks to her studies in foreign languages in La Spezia before and in New Zealand later. 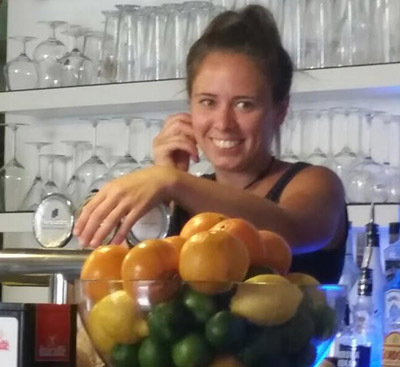 When she came back to Italy she moved to Cinque Terre, chosen as the best place to work in the touristic field and keep her passion for languages. Silvia is the tour manager as well as the back office support. She will support you all the way to your cruise. Carolina is a local young lady born in Monterosso graduated in Graphic Design with a traveler soul. She has always been attracted by different cultures and people; after many working season in her village she decided to leave, as backpacker , to discover the huge Australia. Once arrived in Perth she understood straight away that the city life is not what she’s searching for, she then moved in the most isolated Australian countryside. In 2017 she went in NZ where she lived for long time beside the seaside…after 3 years in the other side of the world, she started to miss her village and her sea…she’s now our international hostess, ready to host people from all part of the globe. the sun or the shadow as whished. Toilet and changing room complete the services on board.